HiDew is an Italian Company specialized in the project and production of several kinds of dehumidification and ventilation devices for swimming pools, from the small private to the big public ones, offering different ranges of units, according to different applications, with nominal air flows ranging from 350 to 25,000 cbm/h, and dehumidifying capacities from 46 up to 3,000 l/day. The DDS and DCS series consists of 10 models, with nominal airflows ranging from 350 up to 1,500 cbm/h, and dehumidifying capacities from 46 up to 236 l/day.The DDS models are suitable for the installation directly in the room to be dehumidified and, thanks to their very pleasant design, these units can be installed also in last-generation concepts’ ambiences, which normally require a good-looking, to create a relaxing and nice-to-see atmosphere. The DCS models are suitable for the installation in a technical room, adjacent to the swimming pool and can be furnished with all the necessary ducts, plenums and grilles, in order to supply a complete turn-key solution. The elegant look, typically Made in Italy, allows their installation even in the most prestigious swimming pools, generally characterized by a sophisticated design. The DVS series consists of 7 models, with nominal airflows ranging from 600 up to 1,400 cbm/h, and dehumidifying capacities from 67 up to 225 l/day. The Advanced Control, equipped with temperature and humidity probes mounted on board, makes the units completely autonomous in the functioning and allows the management of dehumidifiers in time-bands, while the wide range of accessories, make the DDS/DCS and DVS dehumidifiers the new leaders in the field. The SPR series consists of 18 models, with nominal airflows ranging from 1,200 up to 25,000 cbm/h, and dehumidifying capacity from 126 up to 3,000 l/day. SPR air handling units are the ideal solution for the swimming pools which need dehumidification but have also to grant fresh air inlet and ventilation, for the best swimming pool environment. 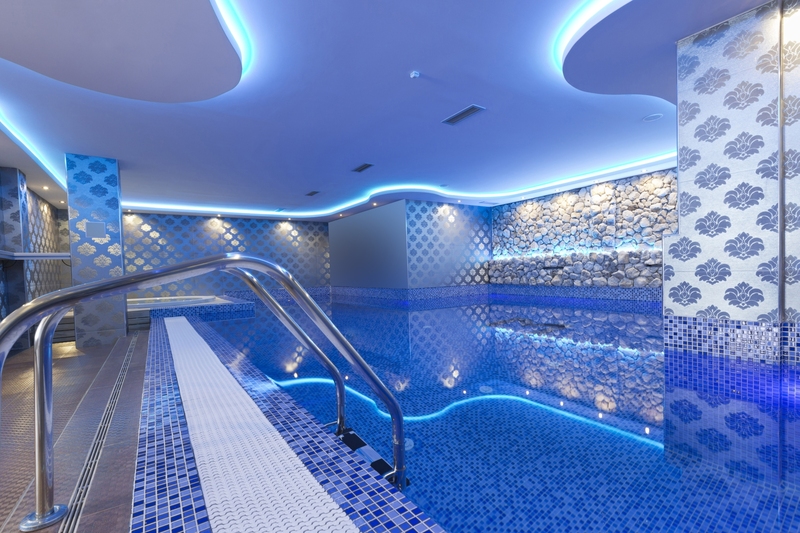 Thanks to the top quality of all the electrical, hydraulic and aeraulic components, including the electronic radial fans we mount by default, SPR models are the state of art in terms of reliability and long lifetime and, thanks to their sophisticated but intuitive functioning logic, they are the right product for the control of the pool environment, capable to grant the necessary functions combining dehumidification, air renewal, and high-efficiency heat recovery, reducing, at the same time the consumption and increasing energy savings. The correct ventilation with outdoor air is fundamental to grant you fresh air and indoor air quality: aspects on which we are focusing more and more, to grant you a complete comfort and wellness. The programmable control can be realized under specific directions of the Customer, in order to grant a tailor-made solution because we are aware that every single project is different from the previous and from the next one. The width of the range grants also the correct dimensioning for your project, avoiding units bigger than needed, considering the variety of air flows and capacities our units can satisfy.